re: 'The Truth' about Mark Dailey and Subdivisions: A final chapter? The Voice of Toronto news died today. American-born newscaster and voiceover performer Mark Dailey died today after a second battle with cancer. He defeated prostate cancer, but several months ago revealed he had kidney cancer. Then, it spread elsewhere. Into his lungs. Both of his lungs. In recent days, he was in a coma. This afternoon, he died. I didn't know Mark well. In fact, our interactions were fleeting enough that I'd be surprised if he recognized me, although we worked in similar circles enough that he'd probably know me first by name. Over the years, our primary connection became through the persistent legend that Mark's voice was the one saying "Subdivisions" in the Rush song of the same name. It was a legend I perpetuated in good faith. I detailed the debate in a long blog post in January, 2008, but the TL;DR of it is this: I was told it was Mark. It sounds exactly like him. I asked Mark and he confirmed it was him. I had him say the line, and it sounded like him. Months or years later, somewhat coyly, he said it wasn't. The band never shed light on it. The 'fact' went so far as being republished in one of the several Rush biographies. Granted, it was the Rush bio that had its own title spelled wrong, but that's neither here nor there. "We all shared Jacob Moon's performance of Subdivisions quite a long time ago and sent it to each other, 'Hey have you seen this?' because it's such a beautiful cover. The imaginative way that he uses the little cassette player to get my voice in there. It's superb. And it is that kind of song. It's a singer-songwriter's song. I loved to see his version of it and I loved the idea that song has endured to his generation." The folks at Power Windows tipped me off to the article. I tracked down the reporter who ran the quote, and she confirmed the exact wording of the quote, and said Neil was repeating the same line backstage. Mind you, that still didn't quite nail it for me, as it's *not* Neil's voice in Jacob's performance -- it's Jacob's voice. He records his own voice on the cassette before the performance. And, perhaps, stretching credulity a bit, I could suggest Neil's "voice" was the "voice" of the song. But what's made me give up on the argument entirely is a closer connection. Probably as close as I'll ever get to asking Neil Peart in person. I now work with a close personal friend of Neil Peart's. I won't betray their relationship by going into detail, but I trust this man enough to believe what he says. And, when I told him about this ongoing debate, he said he'd bet it was Neil. Mark Dailey is dead and will be terribly, terribly missed. Whether he was the voice of Subdivisions or not, it doesn't matter. He was The Voice of so many other things that he'll live on forever in the memories of those who knew or even heard him. Not only that, he was as humble as a saint, which is saying something huge for such a high-profile figure in what has essentially become Show Business. Whether he did it or not, he doesn't need my backing in any argument. He deserves to rest in peace. If someone else has evidence in this case, I'd be glad to hear it, but for now, I withdraw my assertion and will allow the mystery to return to mystery. Or, if you're so convinced, that Neil Peart is the voice saying "Subdivisions". Either way. 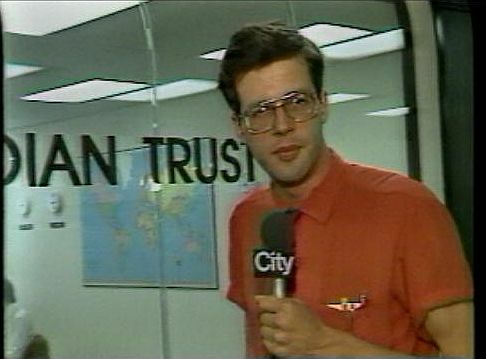 Mark, sir, "CityTV: Everywhere" will ring on in our ears forever.